An F-16 from Luke Air Force Base in Arizona has crashed. Luke officials said in a release Tuesday afternoon that an F-16C assigned to the 56th Fighter Wing diverted and tried to land at Lake Havasu City Municipal Airport in Arizona at about 10:35 a.m. local time. The pilot ejected and is in good condition, and is being taken to Havasu Regional Medical Center, Luke officials said. There is no immediate danger to the public, Luke said, and first responders are on the scene. The Lake Havasu City Professional Firefighters Association in Arizona said in a Facebook post earlier that firefighters were responding to a “military aircraft emergency” Tuesday afternoon, in which an F-16 pilot ejected. 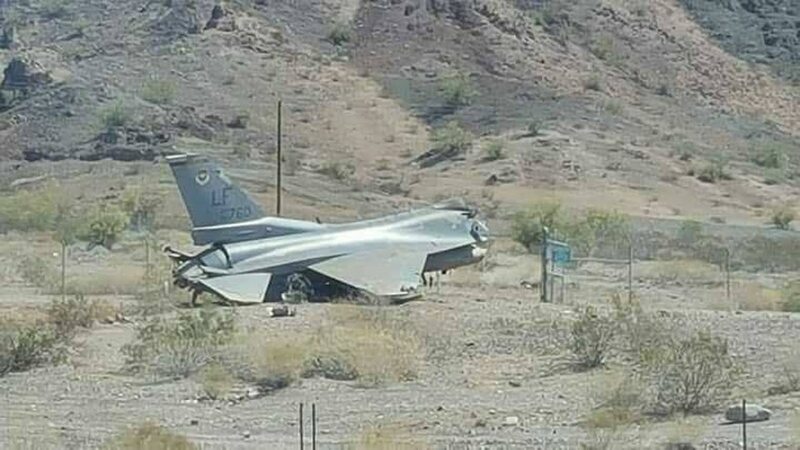 The unofficial Facebook page Air Force amn/nco/snco posted a photograph apparently showing a wrecked F-16 on the ground. The page said the photographer said it crashed near Lake Havasu in Arizona, and that the pilot ejected safely and was walking. The local ABC station as well as the local CBS station also reported that an unidentified military plane had crashed, and that the pilot ejected. This is a breaking news story. It will be updated as we get more information.